Have you ever needed to find a box to package up a gift in a hurry? 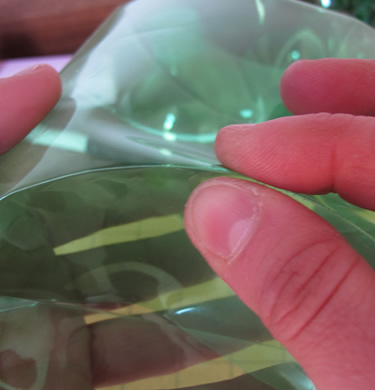 Look no further than the simple plastic PET bottle you have in your kitchen. Certainly don’t throw it in the bin! Don’t put it in the recycling either! Transform it into a fabulous pillow box and impress people with your ingenuity and resourcefulness. 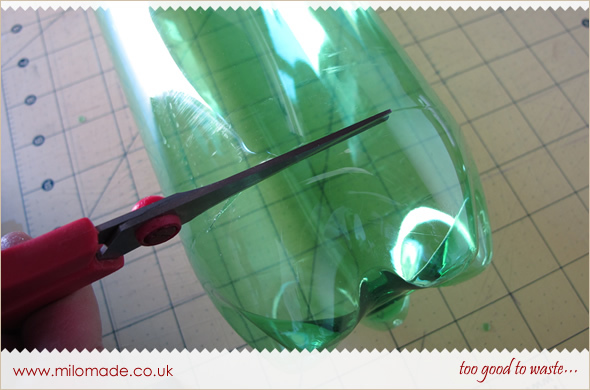 The first thing you need to do is cut the top and the bottom of the bottle off. 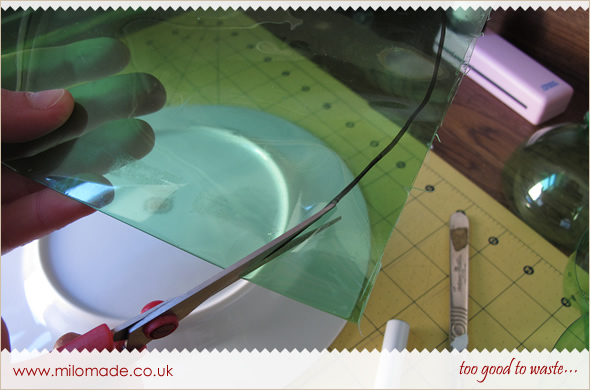 I used a craft knife to pierce a slit into the plastic and then my scissors to cut all the way round. You will be left with a large long tube. 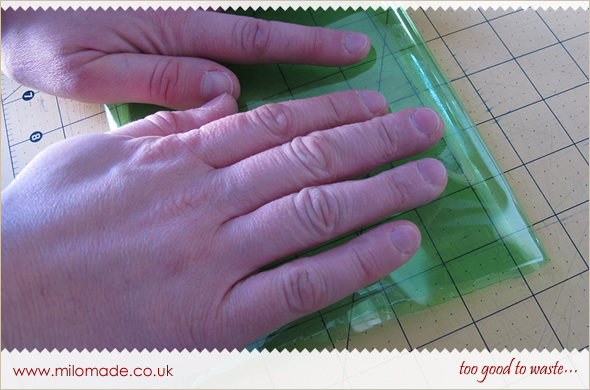 Flatten the tube by pressing down on it with your hands and then flatten/crease one edge with your thumb. 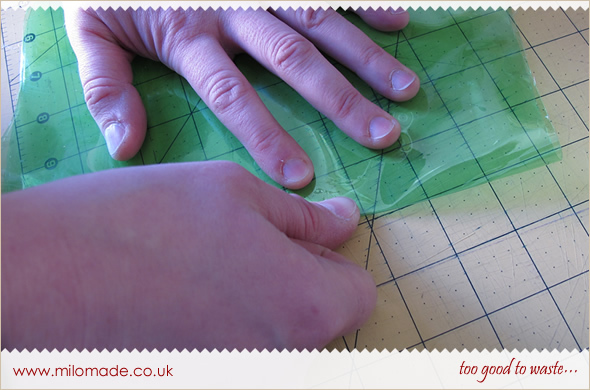 Then re-inforce the crease using the edge of your craft knife. Next do the other side. 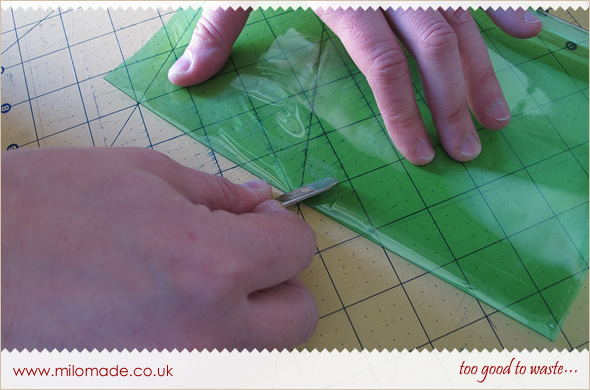 Place you flattened tube onto a cutting mat so that you know where the center is. 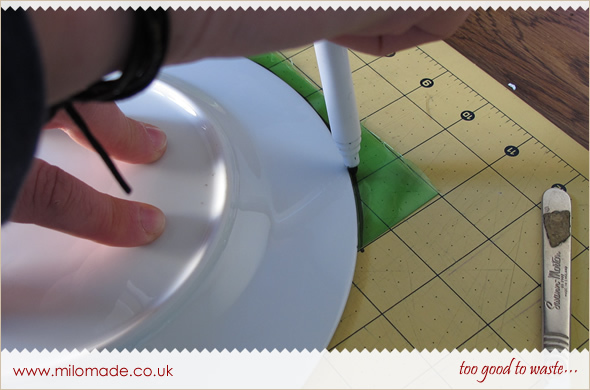 Place a plate on top and position this so that it aligns with the centre of the tube. Draw around the edge. 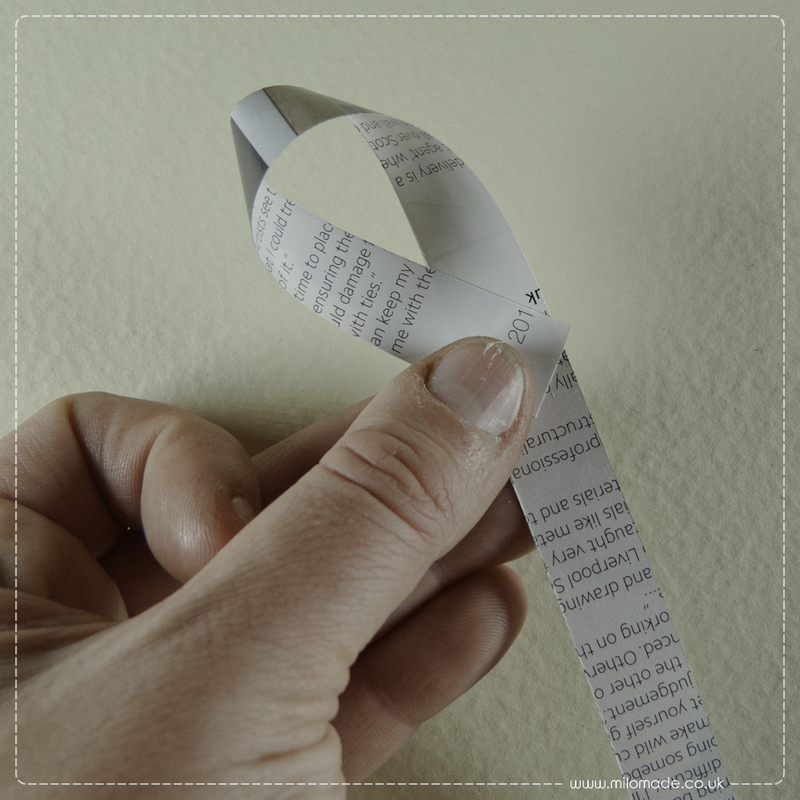 Do this on both ends and then cut around the lines you’ve drawn. 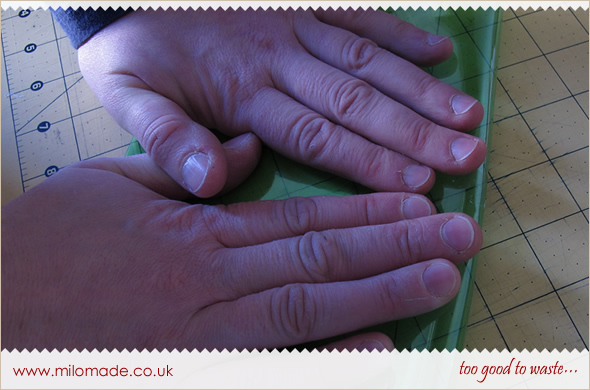 You may need to trim the underside a little here and there once you’ve done the initial cut so that the edges meet. 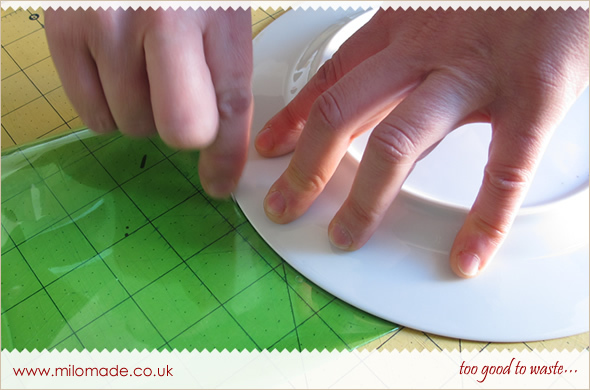 Next you need to use the plate again to score a curved line at both ends of the tube on the front and the back – so you do this 4 times. 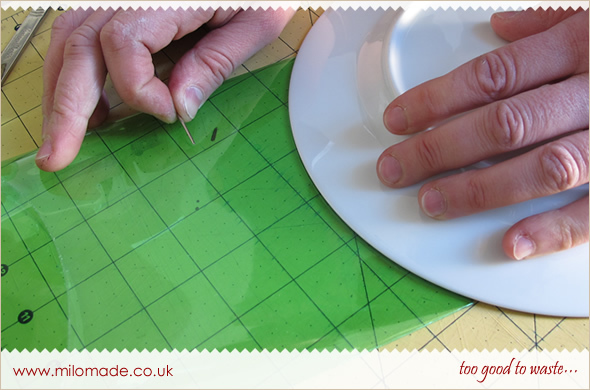 Align the plate with the corners/edges and then use a needle or similar pointy instrument to draw around the curved edge of the plate. 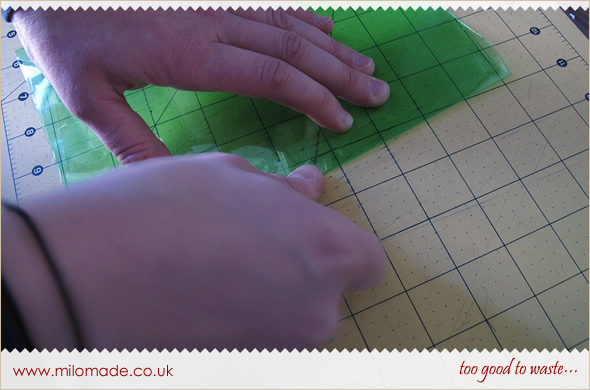 Start forming your pillow box by creasing along the scored lines you’ve just drawn. 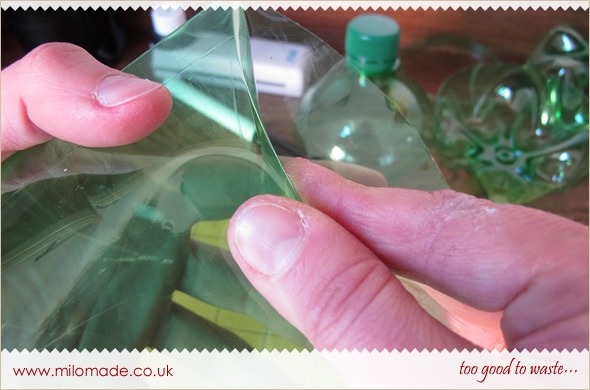 Take your time and do it gently in order to avoid kinking and creasing the plastic in the wrong places. Once you’ve done all four scored lines, you’ll be able to fold the flaps to form a pillow box as shown in the image below. 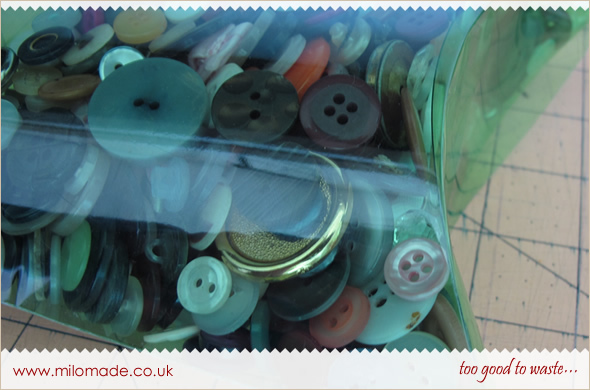 Fill it with goodies – buttons in my case, but you could fill it with anything, in particular a gift for a friend or loved one – finish it off with a fancy ribbon, or with string and hey presto, you’ve just made a really original eco friendly gift box. 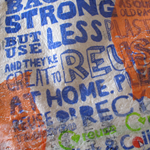 Make sure to encourage the reciever to re-use it or let them know that it’s PET Plastic and therefore should be put in the recycling rather than in the general waste bin. 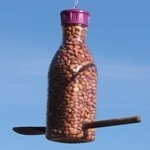 Use different coloured bottles in different sizes to make a variety of boxes. I’m thinking of using them for packaging up some Milomade DIY Packs in the future – I think they’d look great at a craft fair and would certainly be a great talking point. 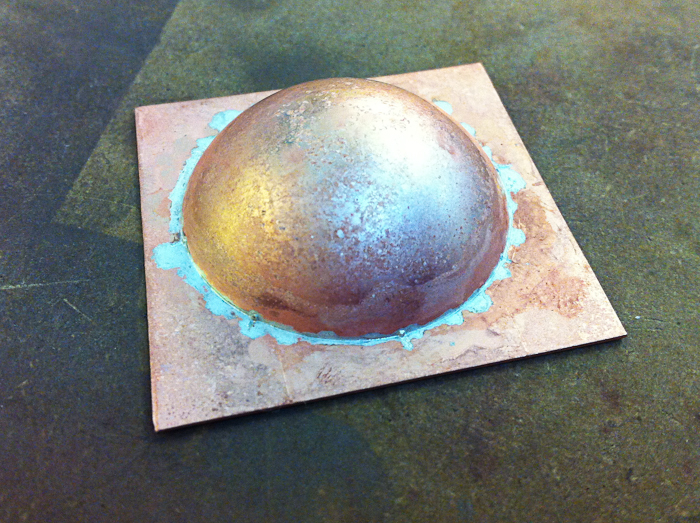 This entry was posted in Tutorials and tagged DIY. 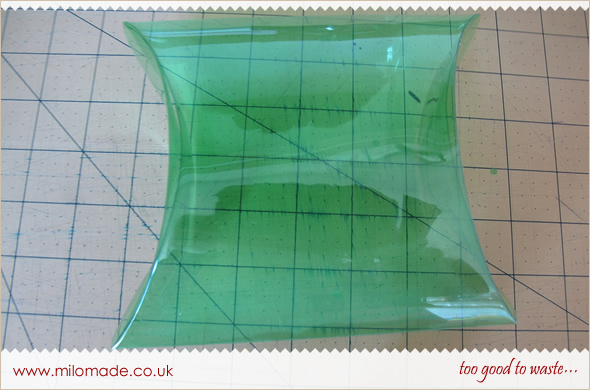 Thanks Kay – feel free to share the tutorial on your blog or facebook! Glad to hear you’re enjoying my blogging – will hop over to your blog this week and have a nosey! Thank you for such a beautiful website and so many tutorials. love this, shared on my page on facebook! 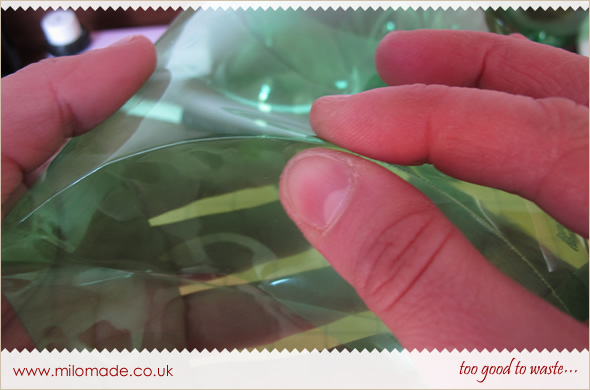 Thanks for visiting and thanks for sharing too – hopefully your facebook fans will find it useful and give it a go – it’s a great tutorial for a last minute gift wrapping idea!